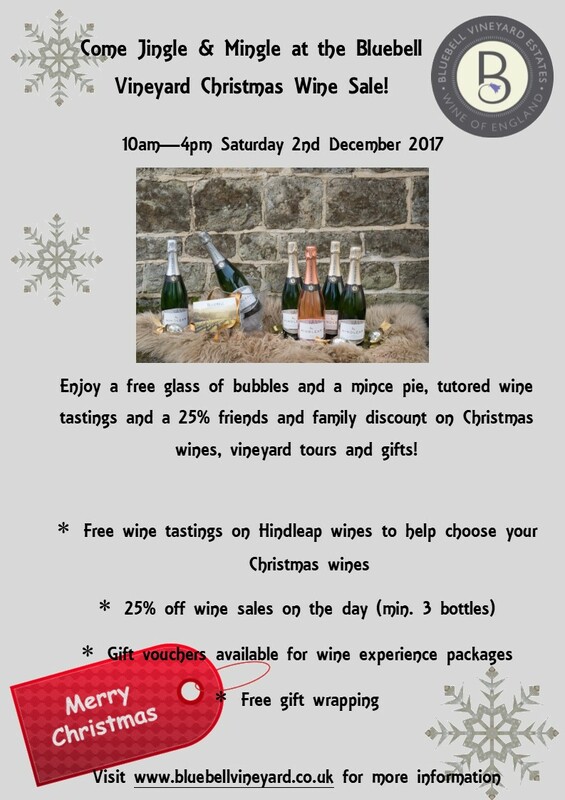 Come jingle and mingle at the Bluebell Vineyard Christmas Wine sale on 2nd December! Join us for some festive fizz, fabulous wine discounts and Christmas gift ideas. We will be open 10am - 4pm for free tastings, bottle purchases and gift vouchers, so whether you are stocking up with wines for the festive period or looking for a special Christmas gift we have something to suit. Visit www.bluebellvineyard.co.uk for more information.